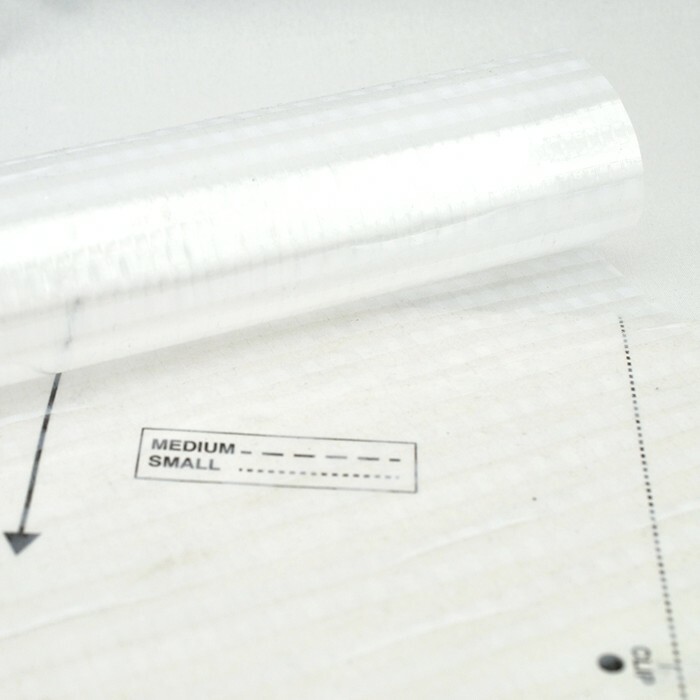 Check out our great selection of coated and uncoated nylon & polyester fabrics, perfect for applications ranging from lightweight tarps, tents and stuff sacks to heavy duty luggage and motorcycle gear. If you know what you are after, use the top menu bar to go directly to what you are looking for or choose the appropriate Sub-Category below. Otherwise scroll down to check out the wide selection of nylon and polyester fabrics available by the yard. If there are too many choices, click here, to order a Master Nylon Sample Packet. This unique sample pack has a piece of each weight of all of the coated and uncoated nylon & polyester fabrics. If you are trying to decide which weight you need and do not need to see all color available in each fabric type, this is an economical way to help you choose the right fabric for your particular application. 11oz per sq. yard. A very heavy weight nylon with a urethane coating. Will not rot or mildew. It has excellent tear strength and is very abrasion resistant. 11oz per sq. yard. A very heavy weight nylon with a heavy urethane coating. This Cordura fabric is made with a special process to give it a stiff hand that allows the material to hold its shape unlike standard Cordura nylon. 8oz per sq. yard. A very nice polyurethane coated fabric with a cordura weave. It is lighter than 1000 D Cordura and heavier than 430 D Packcloth. 4 oz. per square yd. 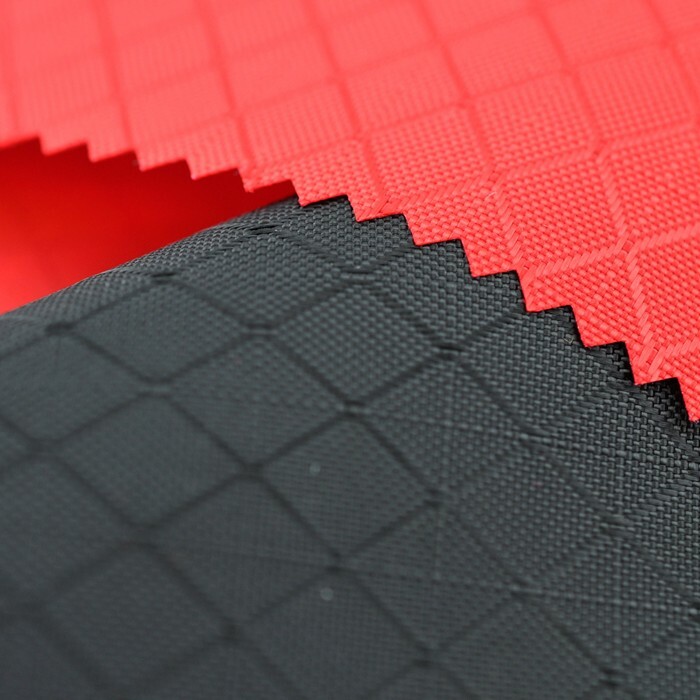 This polyurethane coated nylon is a durable and water resistant fabric that is lightweight, flexible and great for light weight reinforcement patches or any project that needs to be more flexible than standard Cordura fabrics. 15 oz. per sq. yard 1050 Denier. This is the heaviest weight of urethane coated nylon that you can get. It is extremely tough and abrasion resistant. A must for any heavy-duty project that you have in mind. 12 oz. per sq. yard 1680 Denier. This is one of the heaviest weight of urethane coated nylon that you can get. It is extremely tough and abrasion resistant. A must for any heavy-duty project that you have in mind. 9 oz. per sq. yd. 840 Denier. This is a medium weight urethane coated nylon fabric that has the ballistics weave; tough yet flexible. 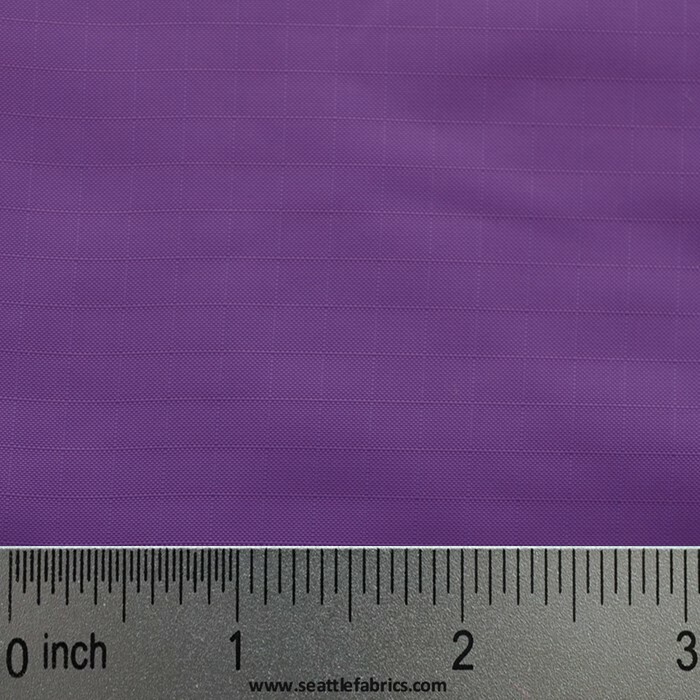 70 Denier 4.5 oz/sq yd. Heat sealable like the pack cloth, oxford and taffeta, but this is light weight. SAMPLES - 1.9 oz. sq yd 70 Denier. This downproof uncoated ripstop nylon is water repellent and breathable with a reinforcing thread woven in each direction that gives it distinguishing squares. 6.5 oz. / square yard. This 100% solution dyed polyester incorporates UV resistant characteristics for long-term color and strength retention along with excellent breathablity and abrasion resistance. 8 oz sq. yd. This high quality 100% polyester fabric is perfect for use in items where high visibility is required. 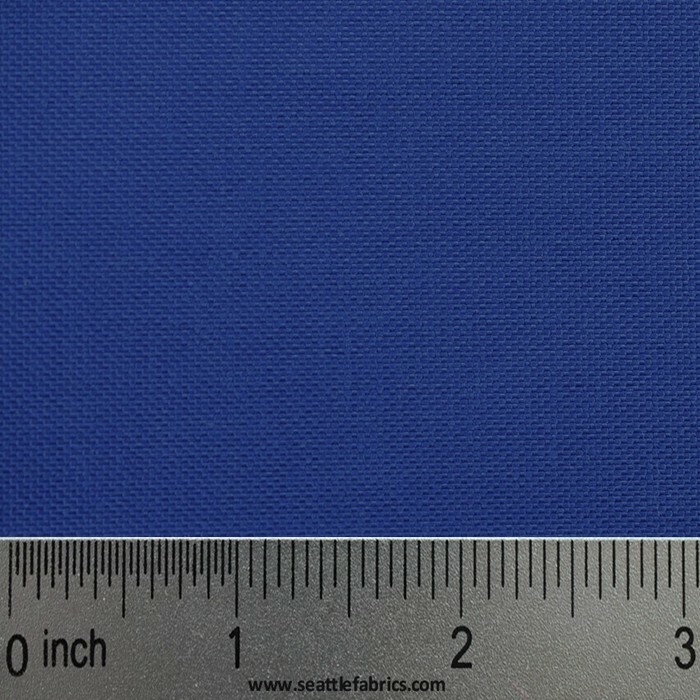 Insignia Cloth Adhesive backed polyester fabric for numbers, letters, and graphic designs. No sewing is required. Printed grid pattern on adhesive paper makes this an easy job. We have spent decades specializing in all of the key outdoor and DIY fabrics needed for at home projects. We proudly supply a variety of nylon apparel and outdoor fabrics by the Yard and bolt. Most of are fabrics are available in any 1/4 yard increments above half a yard and typically are 60 inchs wide, while also coming in a huge selection of colors. We sell 1.1 oz. Uncoated Downproof Ripstop by the yard. This 1 oz., 30 denier high tenacity, bright nylon ripstop offers heat and light inhibitors. This fabric is downproof, and is a great way to reduce weight in any pack. It’s excellent for any DIY projects or repairs in your next outdoor adventure. This fabric is perfect for a sleep bag quilt. Unfortunately this fabric is not fire retardant. Our 1.1 oz. Uncoated Downproof Ripstop fabric is available in Fluorescent Yellow, Orange, Navy, Light Blue, Red, Grey, Teal, Royal, Yellow, White, & Black. We also offer 1.3 oz. Silicone Impregnated Ripstop by the yard. This 1.3 oz. silicone impregnated 30 denier, high tenacity, and bright nylon rip stop with heat and light inhibitors. 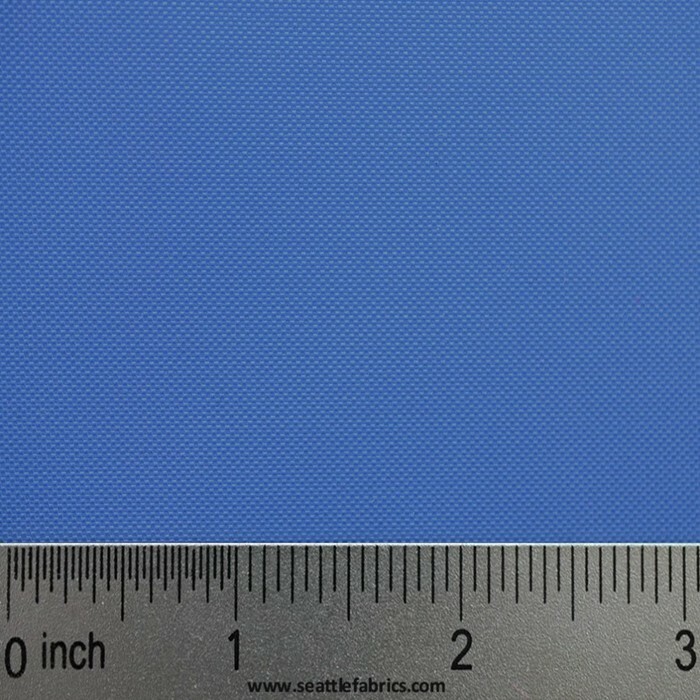 This amazing fabric has a tear strength of 15 pounds. Using 1.3 oz. Silicone Impregnated Ripstop is a great way to reduce weight. It’s perfect for the bilgy light tarp shelter pattern, a stuff pack, lightweight tarps and more! This fabric is not fire retardant. Our 1.3 oz. Silicone Impregnated Ripstop is available in Brick Red, Taupe, Lime, Tangerine, Lemon, Hot Pink, Kelly, Red, Orange, Gold, Purple, Orchid, Jade, Lt. Blue, Royal, Navy, Grey, White, and Black colors by the yard. Looking for 1.9 oz. Uncoated Downproof Ripstop? We also carry this wonderful fabric by the yard. Our 1.9 oz. sq. yd. 70 Denier is downproof ripstop nylon. Additionally it is water repellent and breathable with a reinforcing thread woven in each direction that gives it distinguishing squares. The ripstop weave strengthens the fabric and prevents tears. Since it is uncoated it is breathable, so it’s perfect for a variety of outdoor applications. Some excellent uses for 1.9 oz. Uncoated Downproof Ripstop include Jacket lining, breathable stuff sacks, wind socks, down coats and comforters, flags, banners and sleeping bag storage sacks. This fabric is available in 1/8 yard increments above half a yard, 60 inch width and can be purchased in Royal, Turquoise, Navy, Purple, Red, Black, Tan, Burgundy, Spruce Green, White, and Camouflage colors. Need something a little more heavy duty for your next outdoor adventure? Our 1.9 oz. Polyurethane Coated Ripstop will have you covered. Available in1.9 oz. sq. yd. before coating and 70 Denier this urethane coated nylon has a strong thread that goes up and across the fabric forming tear resistant squares. Giving it a final 8-10lb tear strength rating. The addition of urethane coating makes this a strong yet lightweight waterproof fabric for many uses. Some great uses for DIY projects like Tent rain flies, lightweight tarps, ponchos, pack covers, kites, wind socks, vapor barrier liners for sleeping bags. 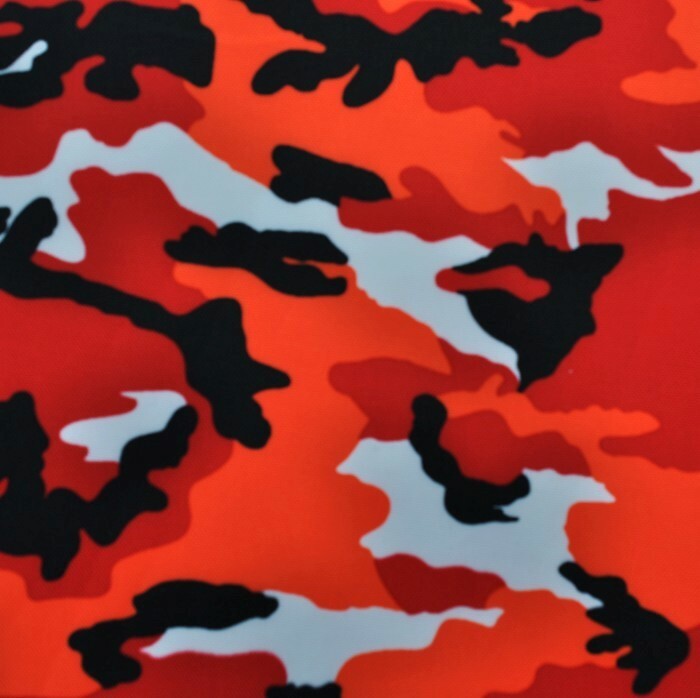 We offer this fabric in Red, Yellow, Green, Forest Green, Teal, Royal Blue, Navy, Raspberry, Tan, White, Silver, Woodland Camo, and Black colors by the yard. We also have Fire Retardant Colors in Silver, Maroon, Black, and International Orange. Need something a little more flexible? Our 70 Denier 1.9 oz. Silicone Coated Ripstop offers the strength you need. This silicone coating is lighter than a polyurethane coating and the silicone coated ripstop has a 16-18 lb. tear strength making it more tear resistant than the polyurethane coated ripstop. Be sure to use a silicone sealer on the seams. This exceptional fabric is perfect for tent rain flies, light weight tarps, ponchos, pack covers, vapor barrier liners for sleeping bags, kites, and wind socks. We offer silicone coated ripstop in Red, Orange, Yellow, Green, White, Black, Royal, Turquoise, Purple, and Light Green by the yard. Looking for a bit more visibility? We also ship 1.9 oz. sq. yd. before coating 70 Denier Reflective Ripstop. This white nylon ripstop has a silver glass bead reflective surface applied to one side that will reflect even small amounts of light. With truly amazing reflective properties, it is a must if being seen at night is important for safety. Whether for a DIY cyclists our the avid outdoorsman this reflective rip stop is perfect for Reflective patches, emergency reflective blankets, back packs, bicycling gear and almost anything else you can think of. Need an extremely waterproof fabric for outdoor and marine applications? Our 4 oz. per sq. yd. 140 Denier with 1.5 oz. coating Super K-Kote Ripstop is perfect for your next adventure. This heavy weave of ripstop offers an extra heavy urethane coating, which makes the fabric extremely waterproof and durable. 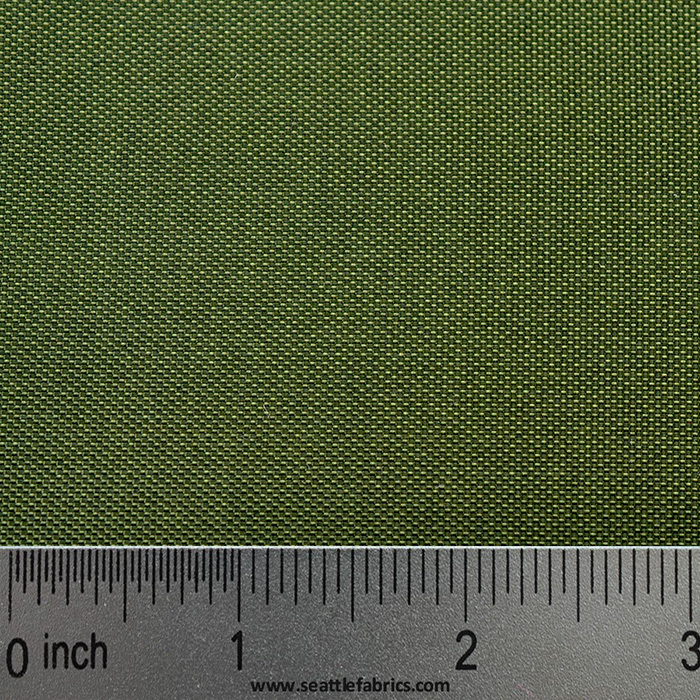 This fabric is perfect for Tent floors, rain flies, bivy sack bottoms, tarps, rain pants, kayak cockpit covers and paddling jackets. This fabric is available in Black, Hunter Green, Olive Green, Navy, Silver, and Charcoal by the yard. Looking for a soft and luxurious feel, while still being durable? Our 2 oz. per sq. yard 60" Uncoated Taffeta 2 oz. per sq. yard is perfect for lining jackets and bags. Some of our favorite projects for this uncoated nylon taffeta include creating Stuff Sacks, Jackets and Bag Linings. 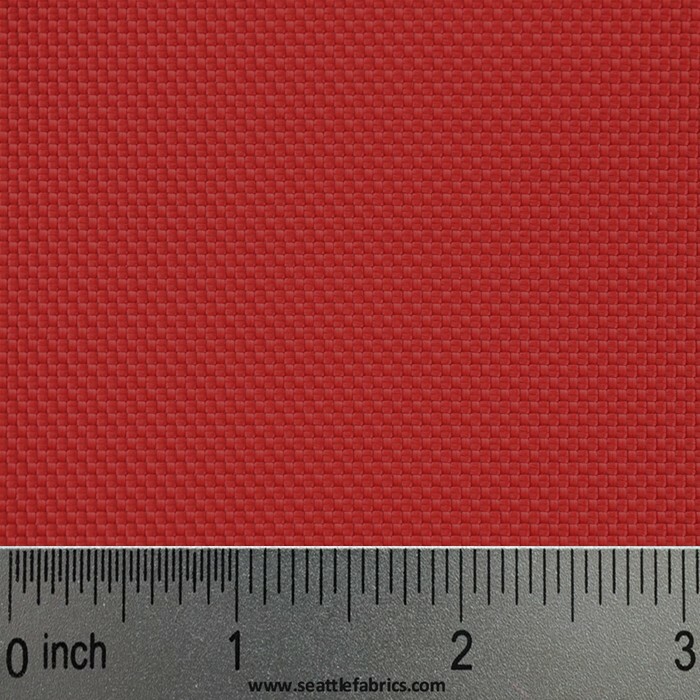 This fabric is available in Red, Royal, Dark Navy, Spanish Yellow, Black, White, Coral, and Hot Pink by the yard. We also offer 4 oz. per sq. yd. 200 Denier Coated Oxford nylon fabric by the yard. This medium weight nylon has a urethane coating that makes it waterproof. 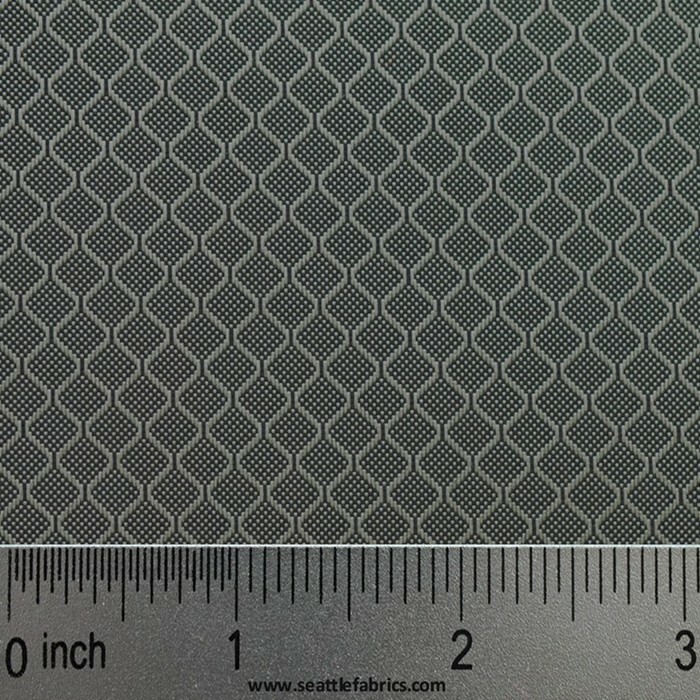 This fabric has a nice smooth face that makes it ideal for a variety of outdoor applications. It’s perfect for Banners, Flags, Stuff Sacks, Small Bags and Linings in Bags. We sell this nylon fabric in Hot Pink, Kelly Green, Yellow, Grey, Gold, Black, Forest Green, White, Old Navy, Purple, Red, Blaze Orange, Royal Blue, Charcoal Grey, Blue Roo, Burgundy, Amber, Turquoise, Texas Tan, Texas Longhorn Orange, Orange and Brown by the yard. Looking to really rough it? We also sell 4 oz. per sq. yard 200 Denier Heavy Coated F/R Oxford. This is not your typical, lightly coated nylon oxford; in addition to being flame retardant, it has a super heavy 1-1/2 ounce flame retardant urethane coating! Giving it superior characteristics, this fabric is waterproof and perfect for applications where weight is critical with out moving up to a heavier fabric. Perfect for displays where flame resistance is required! This fabric works exceptionally well in Display booths, tarps, ground tarps, tent floors, stuff sacks, light weight bags and much much more. We can ship this flame resistant nylon fabric in Red, Orange, Yellow, Green, Royal, Purple, Maroon, Magenta, White, Silver and Black by the yard. Worried about color fade? We have you covered with our 3.5 oz. per sq. yd. V Resistant 200 Denier Flag cloth Uncoated Oxford. This fabric is ready for any outdoor application with its water repellent finish and superior ultraviolet resistance. The use of high tenacity yarns makes an attractive fabric, while maintaining even dye appearance and good screen printing capabilities as well. We recommend using this nylon fabric for flags, Banners, Jackets, Bags, Tents, and Stuff Sacks. It’s available in Black, Brown, Silver, Navy, Dartmouth Green, Irish Green, Mint, White, Turquoise, Aqua, Purple, Orange, Spanish Yellow, Yellow, Ecru, Maroon, Ruby, Scarlet Red, Magenta, Pink, Old Glory Blue, Royal, French Blue, Wineberry, and Lavender by the yard. Don’t like the cut of your jibe? 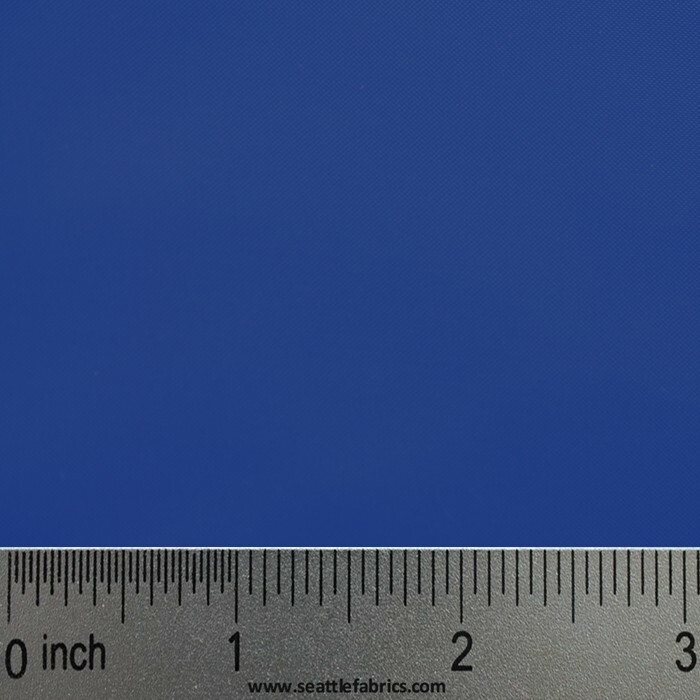 This 1/2" Double Fold Flag Header material is perfect for any colors you’re looking to fly. This double fold, 100% woven polyester flag header is the perfect way to finish off flags and banners with a professional look, added strength and reinforcement for grommets. It is easy to use and provides great results on any outdoor, marine, or naval project. This 2.75 oz. per sq. yd. 70 Denier Silver Metallic Ripstop is perfect if you need high visibility and strength. 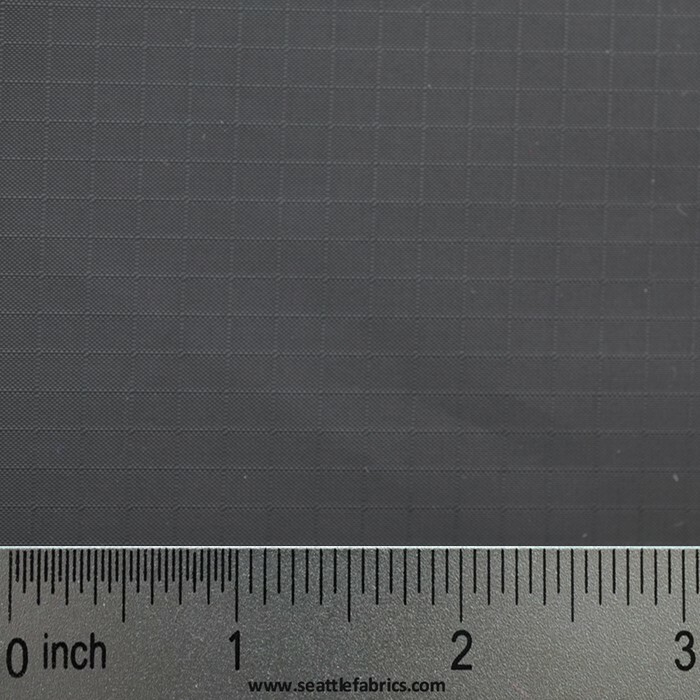 This black nylon Ripstop has a durable silver metallic finish laminated to one side. The only downside of this fabric is that it’s not washable. 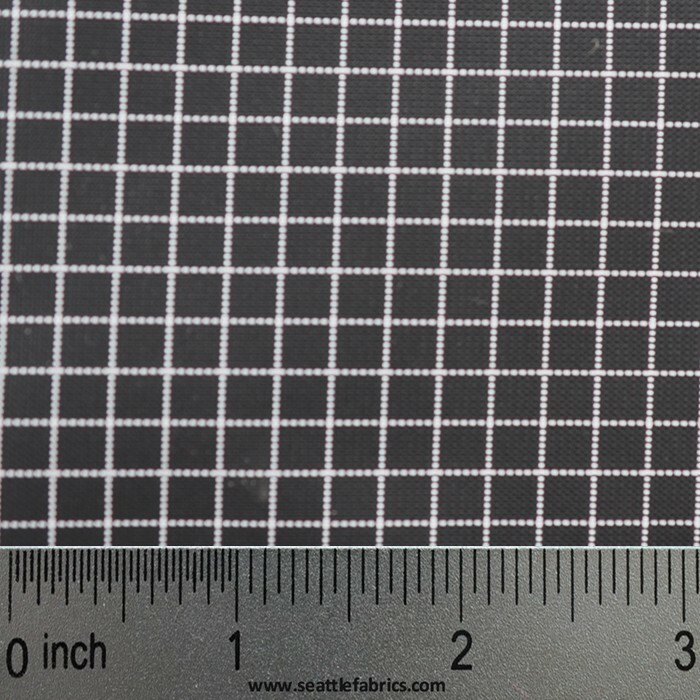 This fabric is perfect for any DIY projects or repairs on tarps, rain flies, and photography reflectors. Need to make a bold statement. Our Isignia cloth is perfect for your next club event or social. This adhesive backed polyester fabric is perfect for numbers, letters, and graphic designs. 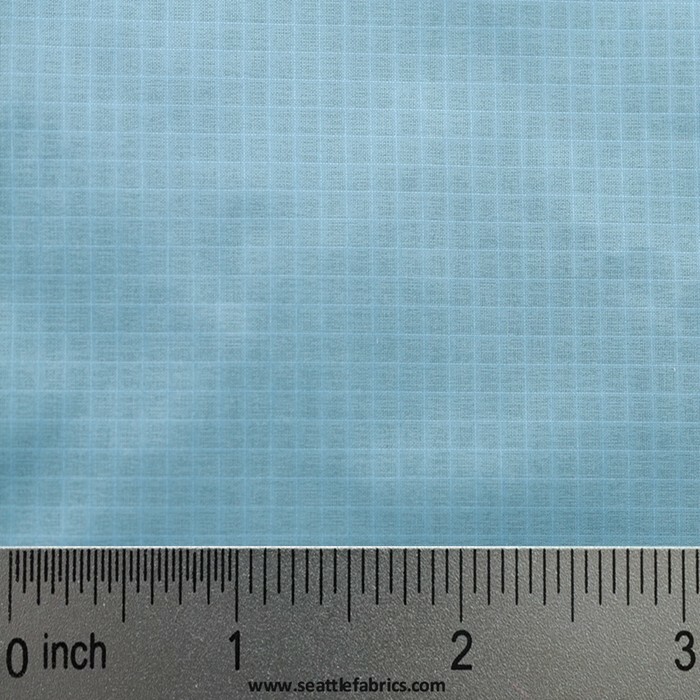 No sewing is required and printed grid patterns on the adhesive paper make for easy creativity. This item is perfect for any club, party, or event planner trying to make a bold statement with a banners or flag. 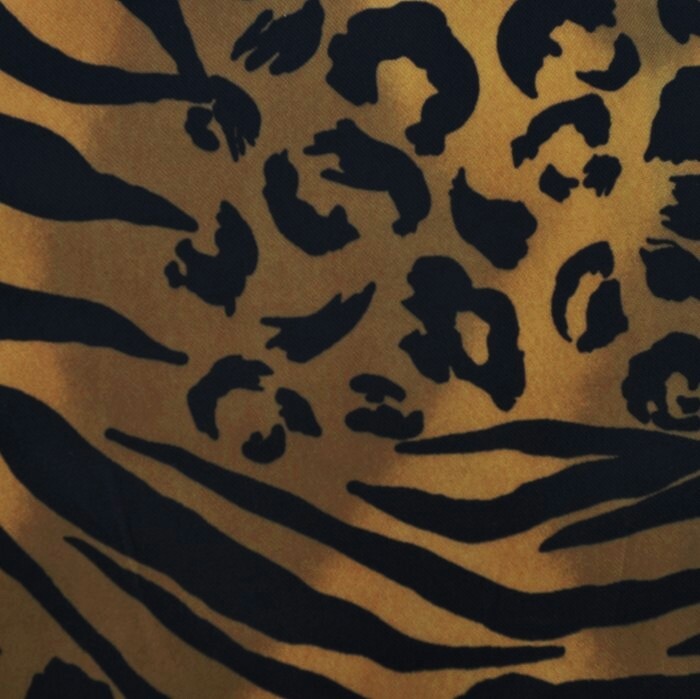 This fabric is available in Black, White, Red, Royal, Fluorescent Orange, Yellow, Green, and Hot Pink by the yard. Need a durable yet lightweight weave for your next adventure? Our 400x300 Denier Diamond Ripstop is the perfect solution. With a tight weave and superior strength this fabric is still very light weight. This is perfect for DIY = projects that need durability and good looks without being too heavy. The diamond rip stop weave gives this fabric a unique iridescent look along with a DWR finish and urethane coating that makes it nice and waterproof. It’s perfect for almost any outdoor, marine, or backpacking application you can think of. This fabric is available in Red, Cinnamon, Fir Green, Royal, Navy, Purple, Tan, Brown, White, Kelly Green, Light Gray, and Black colors by the yard. Need a tough fabric that highly abrasion resistant for your next adventure? Look no further than our 7 oz. per sq. yd. 420 Denier Packcloth. This tough durable fabric has a polyurethane coating that makes it waterproof and abrasion resistant, while it remains flexible and easy to work with. This fabric is perfect for gym bags, packs, stuff sacks, tarps, gaiters, briefcases, ponchos, and custom rain gear. It’s available in Maroon, Red, Orange, Gold, Yellow, Kelly Green, Forest Green, Turquoise, Electric Blue, Royal, Navy, Purple, Tan, Dark Brown, Silver, Charcoal, White, Black, and olive colors by the yard. Need something a bit brighter; we also have fluorescent options like Fluorescent Pink (add $1.50/yd. for Fluorescent colors), Fluorescent Green (add $1.50/yd. for Fluorescent colors), Blaze Orange (add $1.50/yd. for Fluorescent colors), Woodland Camouflage (add $1.50/yd. for Camo), and Desert Camo (add $1.50/yd. for Camo). Need to spot gear in inclemental weather or starry nights? Our 8 oz. sq. yd. SuperGlo Reflective Polyester is just the fabric you need. This high quality 100% polyester fabric is perfect for use in items where high visibility is required. An aluminum or fluorescent orange color-coating is applied to the fabric followed by glass reflective beads. Plus this fabric is UV resistant! Perfect for all your outdoor needs! This fabric was made for Boat covers, motorcycle covers, outdoors clothing, safety vests, bags and much more! We can ship this polyester fabric in aluminum or Fluorescent Orange. Looking for a lightweight fabric that’s tough and flexible? Pure. 4 oz. per sq. yd. 30 Denier Urethane coated Cordura is perfect for a variety of demanding applications. This durable and water resistant fabric is lightweight and flexible and is great for making seat, knee and elbow patches for skating or snowboarding. This fabric also works well for DIY projects like Bags, packs, luggage, camera cases, jackets, pants, fanny packs, gaiters, totes, shopping bags, and purses. Available in Black and Navy fabric by the yard. Looking for stiff waterproof fabric that can take a beating? This 8 oz. per sq. yd. 500 Denier Cordura offers a very nice urethane coated fabric with a Cordura weave. It is lighter than 1000D Cordura and heavier than 430D pack cloth. This is the perfect fabric when you want a Cordura weave without the weight and stiffness of 1000D. This fabric is perfect for patches, gaiters, cases, packs, luggage, totes, duffel bags, soft-side luggage, camera cases, and musical instrument cases. And we know it’ll work great on anything you make for years. 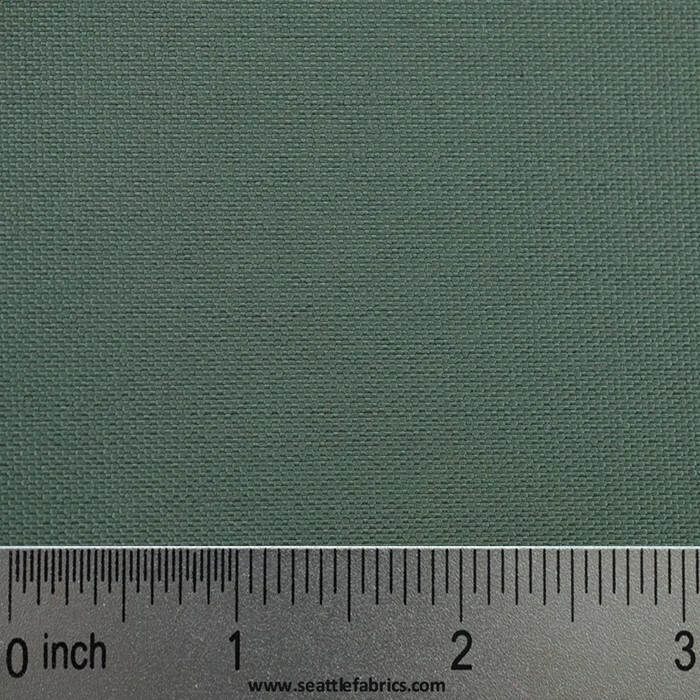 This fabric is available in Black, Teal, Royal, Navy, Red, Coyote, and Olive fabric by the yard. Need fabric for the toughest jobs and wear? This 11 oz. per sq. yd. 1000 Denier Cordura is right for any demanding project. This very heavy weight nylon with a urethane coating has excellent tear strength and is very abrasion resistant. This fabric is amazingly tough and versatile. We recommend this fabric for projects such as heavy duffel bags or packs, soft-sided luggage, camera cases, and musical instrument cases, gaiters, and go-kart racing suits. Need something nearly as strong as 1000D Cordura but a little more pliable? Our 840 Denier 9 oz. per sq. yd. Junior Ballistics Cloth is right for many tough jobs. This medium weight urethane coated nylon that has the ballistics weave is tough yet flexible. This black fabric is perfect for patches, gaiters, cases, packs, luggage and totes. Need a fabric that’s more durable than most you’ll encounter? This 15 oz. per sq. yard 1050 Denier Ballistics fabric is exceptional for many rough outdoor applications. This is some of the heaviest weight of urethane coated nylon that you can get. It is extremely tough and abrasion resistant. A must for any heavy-duty project that you have in mind. This black fabric is great for projects like heavy duffel bags, soft-sided luggage, and cases for cameras, musical instruments, gaiters and haul bags. Looking for our toughest yet lightest fabric? Look no further than our 1680 Denier Traveler fabric. This 12 oz. per sq. yard 1680 Denier fabric is the heaviest weight of urethane coated nylon that you can get. It is extremely tough and abrasion resistant. A must for any heavy-duty project that you have in mind. Basically the same look and feel of ballistics nylon that is almost, but not quite as tough as true Ballistics nylon. This is the perfect fabric for heavy duffel bags, soft-sided luggage, cases for cameras, musical instruments, gaiters and haul bags. This fabric comes in Black, Red, Navy, Forest, Charcoal, Olive Drab, and Royal. Ready to get out into the water? This 30 Denier 3 oz./sq. yd. Heat Sealable Nylon Ripstop is perfect for pack cloth, like oxford and taffeta, but this is super light weight. 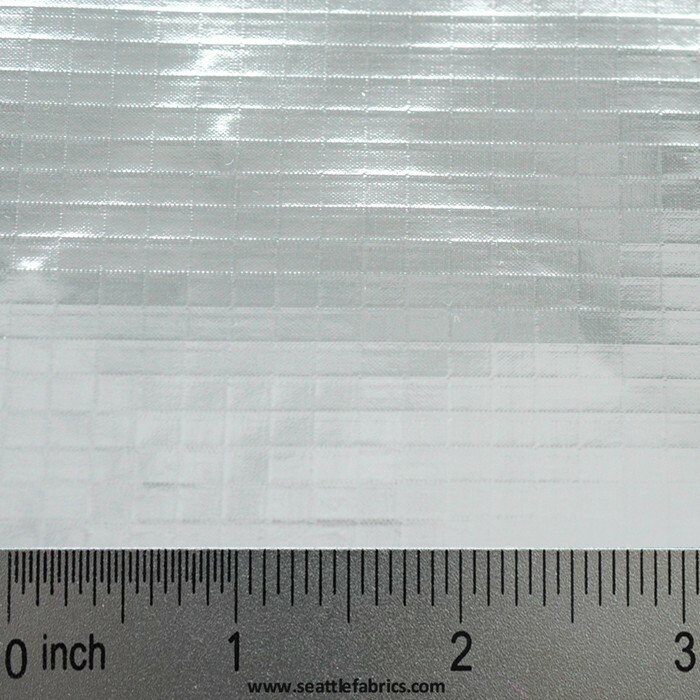 This is the lightest heat sealable fabric that we have come across. With a "kiss coating" on the face and heat sealable coating on the back, this super light weight ripstop is useful for applications where extremely light weight fabric is required while maintaining water resistance. We sell this fabric by the yard and it comes in a Natural (off white) tone. Another option where weight and water resistance is a concern is our Heat Sealable Taffeta. This 70 Denier 4.3 oz./sq. yd. taffeta fabric is perfect for pack cloth and oxford, but this is super light weight. This black fabric is useful for applications where weight is a factor, but a high degree of water resistance is necessary. If you’re looking for something a little more heavy duty, our Heat Sealable Oxford can offer you the piece of mind you need. This 200 Denier (approx. 6.5 oz./sq. yard) fabric is lighter and more flexible than the 430 D. Packcloth. It has a special coating that makes it possible to be heat-sealed, coated side to coated side, using a household iron. Perfect for dry bags, spray skirts and all water sports for which you need a waterproof seal. We can include a free copy of a Do-It-Yourself Dry Bags article from Sea Kayaker with purchase upon request. This fabric will serve you well on any water ready project like waterproof patches, dry bags, spray skirts, waterproof instrument cases and packs. 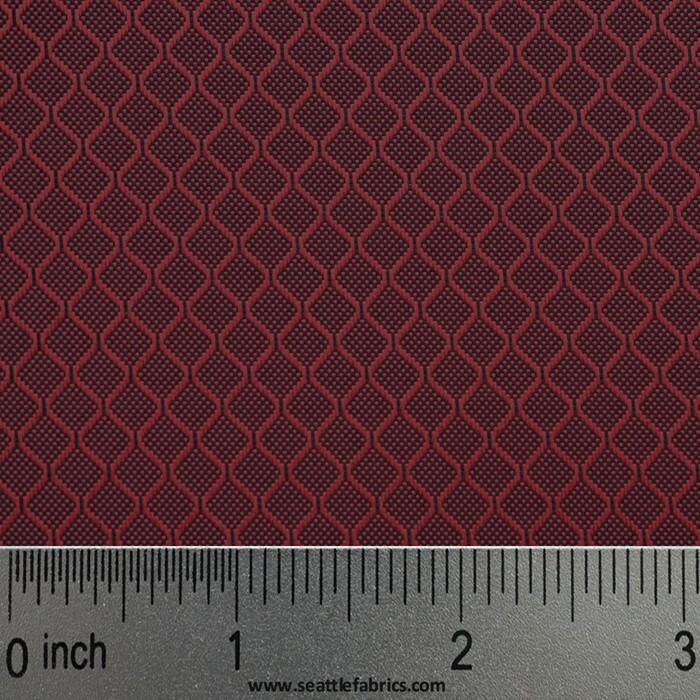 We feature this fabric in Red, Blaze Orange, Yellow, Black, Royal and Nickel Grey by the yard. One of our more heavy duty heat sealable waterproof materials, this Heat Sealable 430 Denier (approx. 8.2 oz./sq. yard) Packcloth is great for many projects. It’s Heavier than the 200 D Heat sealable Oxford but it also has a special coating that makes it possible to be heat-sealed, coated side to coated side, using a household iron. Perfect for dry bags, spray skirts and all water sports for which you need a waterproof bag. We can include a free copy of Do-It-Yourself Dry Bags article from Sea Kayaker with purchase upon request. 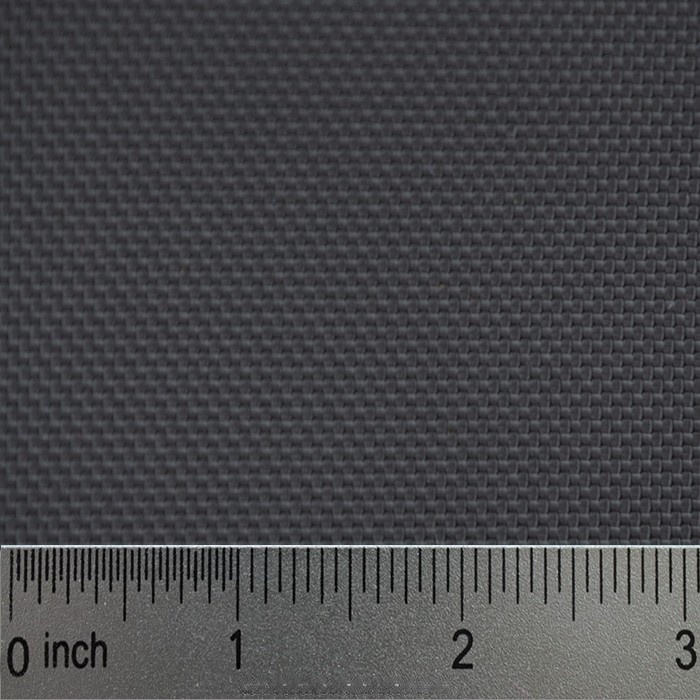 This fabric is exceptional for waterproof patches, dry bags, spray skirts, waterproof instrument cases and packs. 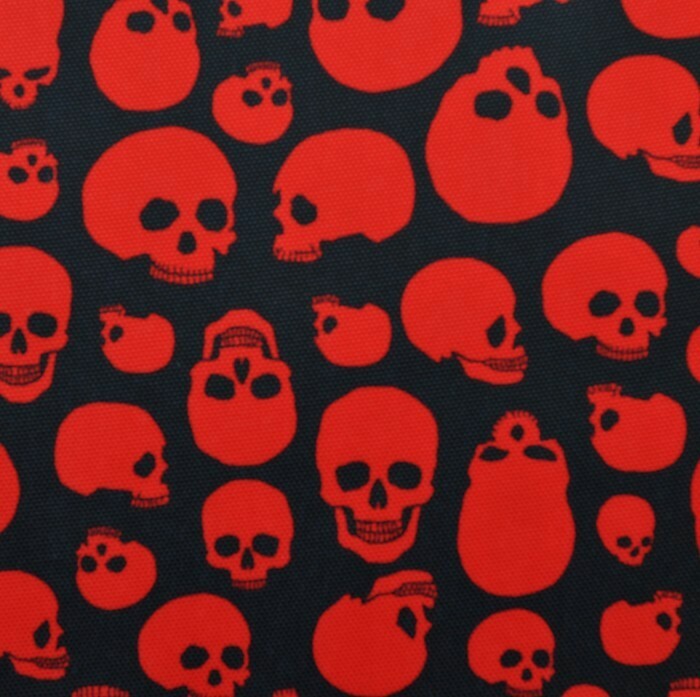 We can ship this fabric in Red, Royal Blue, Yellow, and Black colors by the yard. Looking for a truly marine ready fabric? 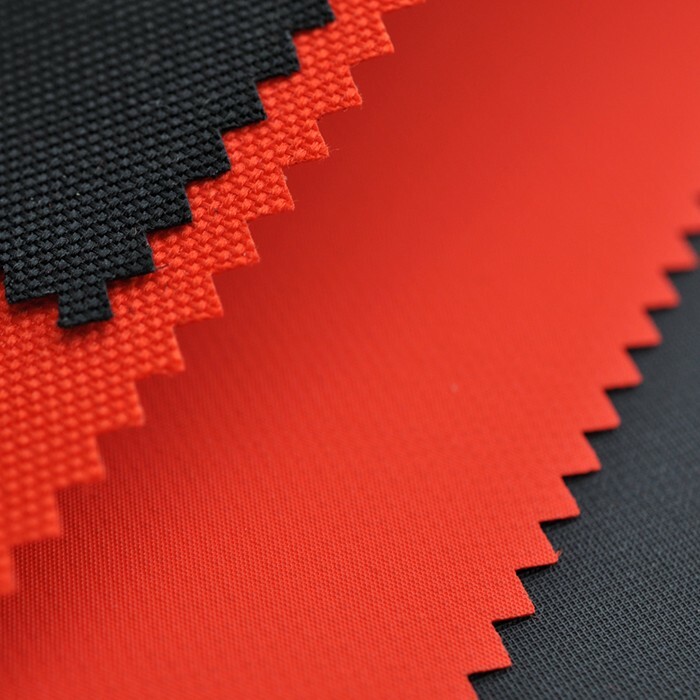 Our WeatherMAX 65 fabric is 100% solution dyed polyester that incorporates UV resistant characteristics for long-term color and strength retention along with excellent breathability and abrasion resistance. The HydroMAX finish raises the bar of hydrostatic performance and delivers unsurpassed water repellency, mildew and oil resistance without relying on environmentally unfriendly coating compounds/ WeatherMAX 65 fabric has anti-microbial properties and a minimum UV resistance of 1000 hours but only weighs 6.5 oz./sq. yard due to the use of a filament rather than a spun yarn like acrylic fabrics. This fabric is excellent for anything from horse blankets to tough outerwear to marine grade tarps. It’s really an excellent choice for almost any outdoor, watersport, or marine activity you can think of. We ship this fabric in Burgundy, Forest, Pacific Blue, Navy, Toast, Charcoal, Black, and White. Need water ready fabric with exceptional visibility? This 7.5 oz. per sq. yd. Ten Mile Cloth offers high-visibility making it perfect for safety clothing, hunting apparel, bags, and anything else that will put it through the paces. This fabric is treated with DWR (durable water resistant) Scotchgard™ Rain and Stain Repellent for maximum water repellency. Ten Mile Cloth is soft, comfortable, and provides superior cold weather resistance, has excellent mold, mildew and chemical resistance, is great for safety applications, and is inherently quiet. This water resistant fabric is 100% acrylic and available in Fluorescent Yellow an Fluorescent Orange colors.